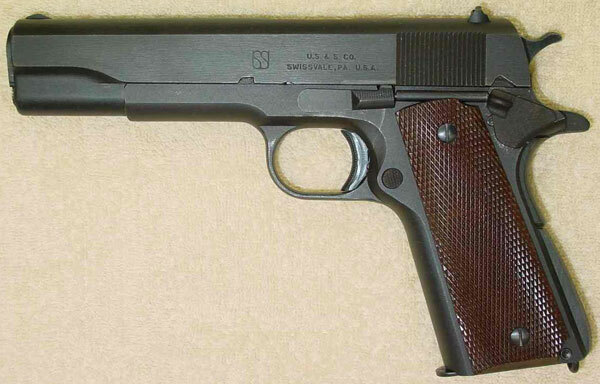 Union Switch and Signal Model 1911A1 serial number EXP No 94 - One of approximately 100 trial run receivers, slides and other component parts were manufactured prior to full production to set up and try out the manufacturing equipment. These receivers were later assembled with slides and other parts from prevailing production, and numbered 1 to about 100. The markings and finish on these pistols were not consistent, as they were assembled by three or four different machinists. 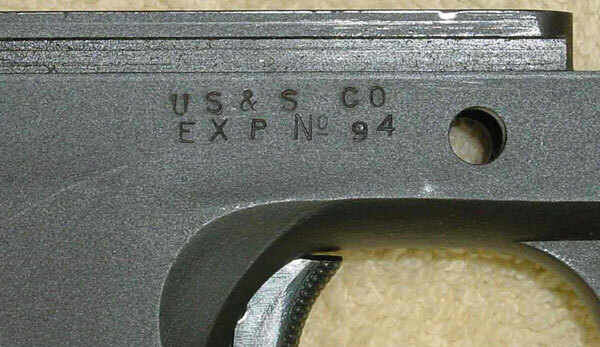 Consequently, the markings may feature a large or small ampersand (&) symbol, and an No or NO serial number prefix. Some are buffed and blued (Du-Lite bluing); some are blued but not buffed; some are buffed and blued with the top of the slide sand blasted; and some are blued over a sand blasted surface resembling a parkerized finish. 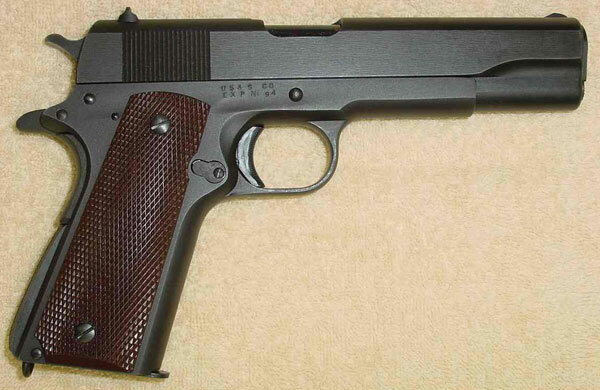 This pistol features a sand blasted blue finish, and all component parts are U.S.& S. It exhibits the proper marking with a small ampersand symbol, and both markings are identical. The finger clearance cuts behind the trigger are the proper semielliptical shape exclusive to US&S and Singer (other pistols feature half-moon shapes). A grind mark extends diagonally across the right side of the receiver, observed on most preproduction receivers. Left side slide markings - USS Logo plus U.S. & S. CO., SWISSVALE, PA. U.S.A.
Close-up of right side showing the markings "U S & S CO" over "EXP No 94".